These will fly off your platter they are so good! Be sure to use really good roast beef. Blend all ingredients except roast beef. 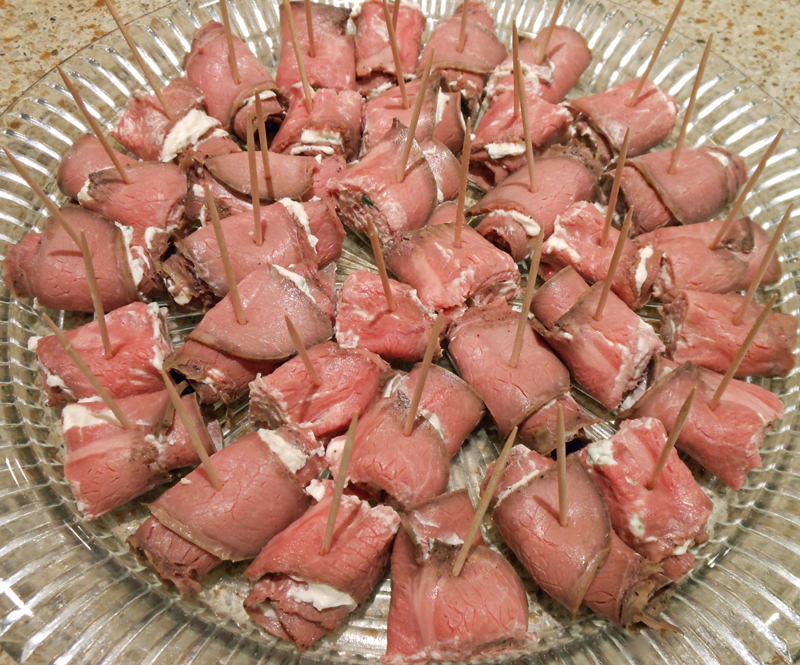 Lay roast beef on a platter and spread each slice with a layer of the mixture. Roll up each slice individually and secure with a toothpick. These may be cut into smaller portions so they go farther.